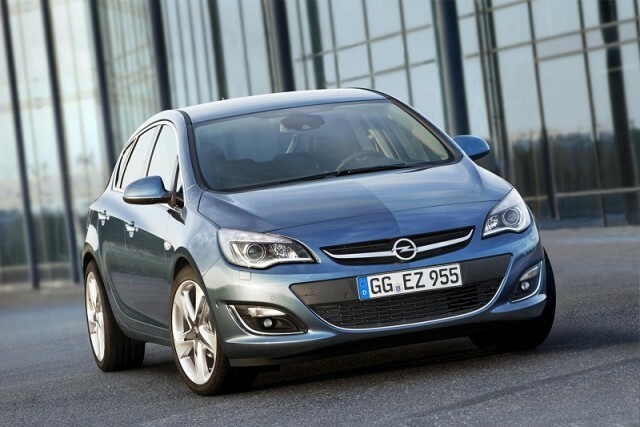 Here's the Carzone.ie used guide to the Opel Astra. The 2009 Astra looked and felt like quite a step forward from its predecessor. Gone were the hard-edged lines of the old one, and in came a smoother, more mature look. There was extra sophistication underneath too, with the option of adaptive suspension and a trick ‘Watts Linkage’ for the rear suspension, which was supposed to make the Astra ride much more comfortably (it did, too). Variants included a very smart-looking GTC coupe version, plus a capacious estate, as well as a saloon model that was almost unique to the Irish market (Malta and South Africa also got that one). The Astra came in quite a broad model range, consisting of S, SC, SE, SRi, Club, Sport, Exclusiv and Elite trims. Basic trim usually included a CD player (with an aux-in jack for a media player), traction control and stability control, electric front windows, electric mirrors and air conditioning, although of course those equipment levels changed and were modified over the car’s six-year lifespan. SRi and Elite models could be equipped with very expensive-feeling leather seats, split-zone climate control, a blind spot monitor and those adaptive dampers. Engines ranged from the basic 100hp 1.4-litre petrol, through a 1.3-litre diesel (sourced from Fiat) and Opel’s own 1.7 CDTi diesel engine, onto a very impressive 120hp and 140hp turbo 1.4 petrol, or a range-topping 2.0-litre 163hp diesel. The GTC coupe shared all of those, but also included the high-performance 280hp OPC model, which was a seriously quick hot hatch in its day, and hardly slow now. There was also a 115hp 1.6-litre petrol model and a very rare 180hp 1.6 turbo petrol option. Last-of-the-line models got the current 1.6 110hp and 136hp diesel engines, and are worth seeking out if you need a very economical, long-haul car. If you can track down an Elite or SRi spec Astra with the 1.4 140hp turbo petrol engine, then you have a sophisticated, comfortable and refined car for very little money. Estates are well worth a look for their spacious boots (500 litres), but try to find one with the 1.3-litre diesel engine — it’s not the most powerful thing around, but it’s hugely economical and a better choice than the noisy 1.7 CDTi. The basic 1.4 is best avoided, as it’s slow and thirsty. The 2.0 CDTi diesel in the GTC coupe with the trick suspension is a surprisingly sharp car to drive, and worth seeking out. The Astra is a reliable car too — check for issues with the diesel filter, juddering brakes and problems with the heating and ventilation system. The Astra is exactly the car that Opel is good at making — unfussy, uncomplaining and unlikely to break down. That it’s both very comfortable and surprisingly good to drive are just bonuses, really. Early models are very cheap now, so try to find the highest spec that you can.